In 2009, you became one of the first women to perform a back-flip with a full twist in competition, becoming an inspiration for thousands of women who look up to you. Provide us an insight into a day in your life. As a professional amateur athlete, we train as a full-time job. I did complete my studies and it took my 8 years while training, right after Sochi. After Sochi, I decided to just focus on training as there is a lot to be focused on. As an athlete, I would wake up, have a breakfast filled with fruits, and I would head to the gym when I’m in Montreal, in the morning session, which lasts for about an hour. It’s not that long but it is very intense and after that I would come back home, do some recovery, work with my sisters on some project, or study when I was studying, recover in the night and then go to bed early. So that’s basically the routine when I’m home. 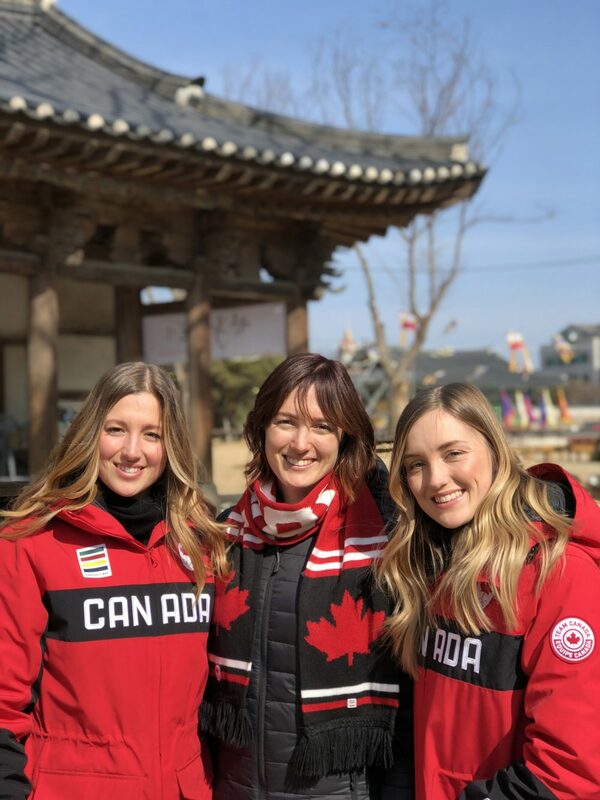 When I’m in training camp, it’s getting up early, get a breakfast, do a warmup, sometimes we have a trampoline session and sometimes we go straight skiing. We’ll be out skiing for 4-5 hours and then come back home, have lunch. Then we go back for a recovery gym session. Most of the time we also make our own food, so we go for groceries, get a massage for recovery, or stretch by ourselves, make dinner and then have a little time to chill, maybe write in our journal, which is very important because I like to keep up with my thoughts and my progress. Also, when you write down on the paper, it is a good way to get things out of you and move on. Then we go to bed and repeat then. These are very packed days which are 3 days and then one day off in training camps. When I’m at home, I train from Monday to Saturday and have Sunday off. And we have one month in a year which is completely off, that’s vacation time in April. 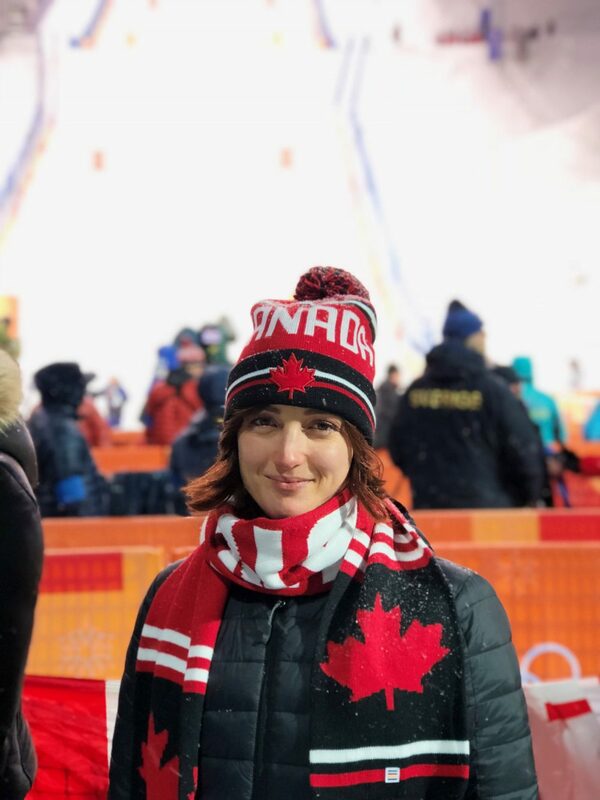 Maxime, you underwent a hip surgery back in April and therefore were not able to qualify for Pyeongchang. While playing professional sports, athletes often face such injuries and difficulties, what tips would you like to provide to beginners to better cope with an injury & return back to competition? So I was lucky that I didn’t get an injury that late in my career actually. My injury was also caused by overuse, impact, it wasn’t like a crash or a very big accident. I think a key to our success, for me and my sisters, for a healthy body, is getting into training really young. So basically when I was 14, my dad said that if you’re really serious about mogul skiing then I would like for you to train. It was about getting a foundation for my body, having a strong core, shoulders and hips, stability and flexibility. So my dad found us a trainer and that training was all about preventing injury. And we are still training with the same trainer, he’s awesome and he also trains a lot of NHL hockey players, in the summers, we also train with them and we get a lot of good competition because they don’t want to be get beaten by girls and it pushes us to go at our maximum, so it’s a fun environment. Tips that I would give is: start training early, stretch and get to know your body. Like my body is quite flexible, it’s a good thing but can also be a weakness, so I have to really work hard one shoulder stability, hips alignment, as these things will help in injury prevention. Also, surround yourself with qualified people. Like from the starting we found a physiotherapist, so if anything would happen I would go to him. We had someone design us fee bands that were specially designed for our ski boots, a massage therapist, physical trainer. Even if you’re not at a very high level yet, it is important to think about all these components so if you need you have people to reach out to. And make plans with your coaches, if they have experience in dealing with injuries, they will definitely help you and guide you in that. Also, I would like to tell you that nobody knows your body more than yourself, so it’s very important to listen to it and also do research. Go out and try something out-of-the box. For my injury I did a lot of research and ended up having two physiotherapists, one for my general body and other for my pelvic floor muscles, cause it’s all related to your hip. Then I did hyper-berry chamber hours which really helped in my recovery. I changed a few of my habits, so it wasn’t that inflammatory and it would help to heal faster. These things nobody told me to but I researched and it really helped me and things that I could be proactive about. So when you have an injury, learn about it and be sort of the boss and take charge of that and you will succeed for sure. I miss that because of time and in my case it was performing in the mind but my body had various issues so I just needed some time to gain back confidence and perform well this year. Training is a very big part of a professional athlete’s career. In my case, in mogul skiing, the biggest part of fitness is done from May to November; it’s the so-called off-training season. So in the beginning months, we get into it and focus on the small group muscles and do the basic and foundation, then we add on the weights and resistance more on the legs. As we progress towards the season, we get our cardio up, but we mostly do circuits. We do two sessions of legs per week, two sessions of upper body and in that we also add abs, warmup and hip warmup. And then we have two circuits, which have cardio that combines all your body together. Then when winter comes it’s all about maintenance, you rely on the work you have done in summers so that you can focus on recovery when competition comes. We often say that our body is a cross of a gymnast and hockey player, we do 30 seconds intense run and then rest for 5 minutes before we do another. But in a day we have to do 7-8 runs, so we have to have the stamina to last the whole day and be as good in the last run as we were in the first one.